Typhoon Haiyan was the most powerful typhoon in recorded history. Almost 7 million people have been affected by this disaster and more than 500,000 people remain in evacuation centers, many of which urgently require food, potable water, medicines and non-food items (NFIs). The Red Cross Red Crescent Movement is undertaking a massive mobilization of its global resources to meet the humanitarian needs of survivors of Haiyan. Ensuring that typhoon survivors have access to clean water and medical services is a top priority. As part of the on-going partnership with the Norwegian Red Cross, DNV GL has established an employee donation campaign for those who wish to contribute to the relief efforts. 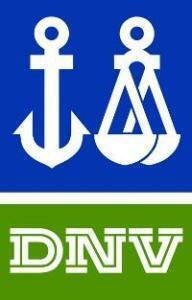 DNV GL has already donated 250 000 NOK to the campaign. The Red Cross is very grateful for all contributions. Together we can save lives!